Doug Steakley received a Master of Fine Arts degree from Indiana University in Jewelry Design and Metalsmithing and studied in Denmark at the Hans Hansen studio in Kolding upon graduation. He published a tutorial book titled Holloware Techniques and his work was featured on the cover of American Craft magazine. He has pieces in the Renwick Gallery of the Smithsonian Institution, The Oakland Museum, Musee D'Art Moderne du Nord, Lille, France and Indiana University Fine Arts Museum. He also served on the Board of Trustees of SNAG (Society of North American Goldsmiths), becoming Treasurer and President. Doug and his wife Jackie owned and operated the innovative gallery "Concepts" for thirty years in Carmel, California, and it was during this time that he transitioned from jewelry and holloware to photography. Now a well known photographer, Doug's distinct images range from the Monterey Peninsula where he lives to many international destinations where he enjoys traveling. Doug has led more than seventy five photography tours and expeditions in the United States and abroad, including such destinations as Yellowstone, Yosemite and The Grand Tetons National Parks, Nepal, Iceland, Myanmar, Mexico, Cuba, Rwanda, Uganda, Kenya, Tanzania, Botswana, and Namibia. Two large format books featuring his color photography have been published recently: Pacific Light, Images of The Monterey Peninsula in 2000 and Big Sur and Beyond, The Legacy of The Big Sur Land Trust in 2001. Pacific Light received an Honorable Mention from The National Outdoor Book Awards. A Photographer’s Guide to the California Coast was published in 2005 and Photographing Big Sur, a guide to the Big Sur coastline, was recently published by Countryman Press. A new large format coffee-table style book, titled Big Sur Revealed, will be published in the spring-early summer, 2017. Doug recently served two terms on the Board of Trustees of The Center For Photographic Art in Carmel, California. He supports and works closely with several land conservation groups. 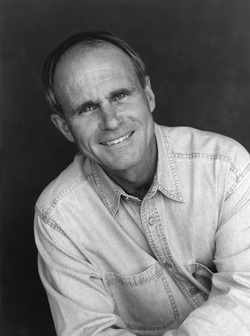 His images have been included in annual reports and a variety of other publications by The Big Sur Land Trust, The Nature Conservancy, The Land Trust Alliance, The Trust For Public Land, The Wilderness Coalition, The Tuolumne River Trust, Western Rivers Conservancy and the Monterey Peninsula Regional Parks District. ﻿﻿In 2003, he received the Ansel Adams Award from The Sierra Club for his conservation photography. Photographs by Doug Steakley have received awards in many photography competitions, including those sponsored by National Geographic, National Geographic Traveler, The North American Nature Photographers Association, Nature’s Best magazine, Petersen’s Photographic magazine and The National Park Service. His images have been published in many local, national and international magazines including National Geographic, San Francisco, Architectural Digest, Backpacker, Outside, Better Homes and Gardens, Art And Antiques, Private Pilot, Luxury Living, The Robb Report, Town and Country, Runner’s World and Elite Traveler. His photographs often appear in the annual travel catalogs published by Wilderness Travel and Mountain Travel. Photographs by Doug Steakley have been made into posters by Portal Publications and Winn Devon. His images are used in many calendars published by Tidemark Press, Portal, Browntrout Publishing, Impact Photographic, Trends International and The Sierra Club. Stock photography by Doug Steakley is represented worldwide by Interfoto and Getty Images. Aside from photography, Doug enjoys bicycling, mountain climbing, backpacking and many outdoor activities.